Director General of the International Atomic Energy Agency (IAEA), joint recipient, with the IAEA of the Nobel Peace Prize for 2005. A lawyer by training, Mohamed ElBaradei has headed the IAEA since 1997 and is coming to the end of his third and final term this year. His courageous and committed work for the non-proliferation of nuclear weapons and his contributions to peace have been widely recognized internationally and he has received many awards and honorary degrees. A graduate in English, she discovered her talents as actor and director as a member of DU Players. Co-Founder and Artistic Director of Rough Magic Theatre Company, one of the most successful and innovative theatre companies ever to come out of Ireland and a hugely creative and influential presence on the national and international stages for now 25 years. Under her directorship the company won many awards and staged many acclaimed productions at the Abbey, the Peacock, the Gate, in the UK, in New York and on the continent. Kristina Johnson is Under Secretary of Energy in the Obama administration. A graduate from Stanford, her academic career in Electrical Engineering started with a post-doctoral fellowship here in College. Before entering politics, she had a very distinguished career as an Engineer, inter-alia as Director of a Centre for Optioelectronics Computing Systems at the University of Colorado. She won many awards and prizes in Engineering. From 1999 to 2007 she served as Dean of the Pratt School of Engineering at Duke University and as Provost at John Hopkins from 2007 to 2009. Her appointment as Under Secretary of Energy is symbolic for the decisive shift in American energy politics under the current administration. Honouring her would also give expression to our commitment to the issue of sustainability. Paul Durcan is one of Ireland's most eminent and original poets, with an outstanding international reputation. He is also an important and fearless commentator on social issues and through his work has provided some of the most succinct appraisals of modern Irish social, cultural and political life. 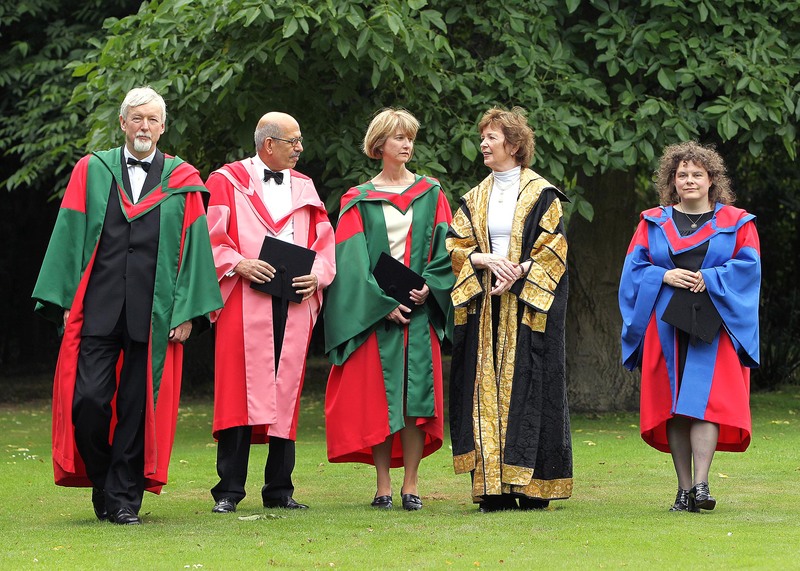 In 1990 he was Writer Fellow of the College, and from 2004 to 2007 he held, for three consecutive years, the Ireland Chair of Poetry at Queens University Belfast, UCD and TCD. He has published more than twenty books and his work has won many awards. Chief Executive of Fighting Blindness 1996-2008 and founding chairman of this charity in 1983. 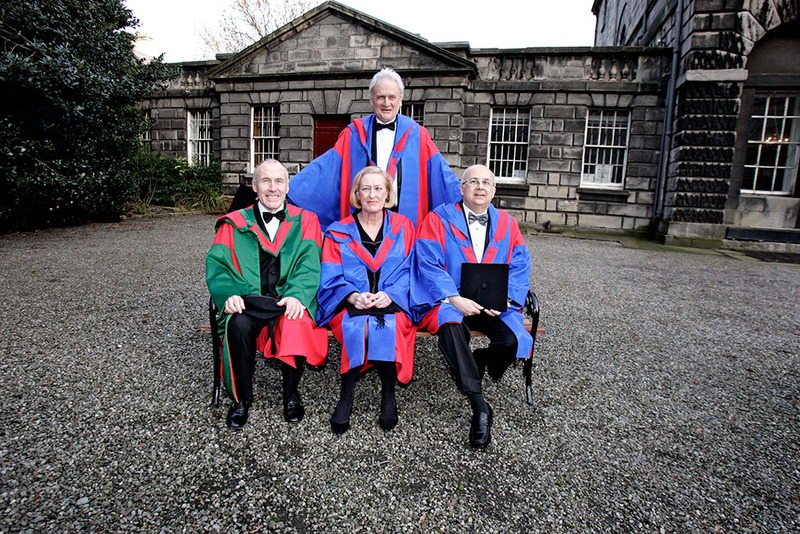 For more than 20 years he has played a crucial role in the development of biomedical research in Ireland in general and of Genetics at Trinity in particular. His support and fundraising efforts since the 1980’s led to the mapping of the genes responsible for retinitis pigmentosa, a form of blindness. He has been the driving force behind Fighting Blindness, which today supports more than 14 research projects on eye diseases. He has been a member of the Health Research Board between 2002 and 2005 and again since 2007 and of many international health bodies. Editor of the Irish Times since 2002 and the first woman to hold this position. A pioneer throughout her distinguished career in political journalism since 1973 with the Irish Times, the Sunday Tribune and the Sunday Press. First woman chairman of the Oireachtas Press Gallery at the age of 24. Member of the Dáil 1987-1989. As editor of the Irish Times she has upheld and enhanced the paper’s standing in difficult times. The intention is to honour her in the year of the 150th anniversary of the paper. Librarian and, since 2002, Founding Director of the Bibliotheca Alexandria, The New Library of Alexandria, one of the most courageous and important cultural projects in the Muslim world. Known worldwide as an inspiring humanist and social scientist, he is a leading authority on the role of education and of science and technology in promoting developing societies. Vice-President of the World Bank 1992-2000, with responsibility, until 1998, for environmentally and socially sustainable development. He has published over 50 books and monographs and has served on numerous international bodies and fora.